We all have the good intentions of trying to workout. Some of us are more successful than others. While the health benefits are obvious, the side effects can be a bit annoying, leaving us with aches and pains. Healthy living is a lifestyle, but it doesn’t need to result in fatigue and pain. Here are five different activities that help you recover and remain healthy after a workout. Meditation is a great habit to get into. It has numerous mental and physical health benefits. Meditation helps you maintain balance as well as lower blood pressure and assist in recovery. After a workout or intense activity, sitting down and meditating can bring a body back to baseline and reduce stress on the joints and muscles. Meditation also promotes healthy breathing which is important for anybody after a rough workout. A sauna is like a hot steam room except it uses dry heat. The dry heat has a tendency to very slowly heat up and relax your muscles. The stress just melts away as your muscles elongate with the heat. Not only does a sauna feel good, it’s generally considered to be good from an overall wellness perspective. Dry heat helps the muscles eliminate lactic acid and come back stronger. As a bonus, heat can also help burn a little fat. Be sure to use heat only after any muscle swelling has been addressed. A hot tub is another great choice for relaxation after a workout. Because it is moist heat, it will heat up your body and relax your muscles a bit faster than the sauna and it can feel even better with the addition of massaging water jets. 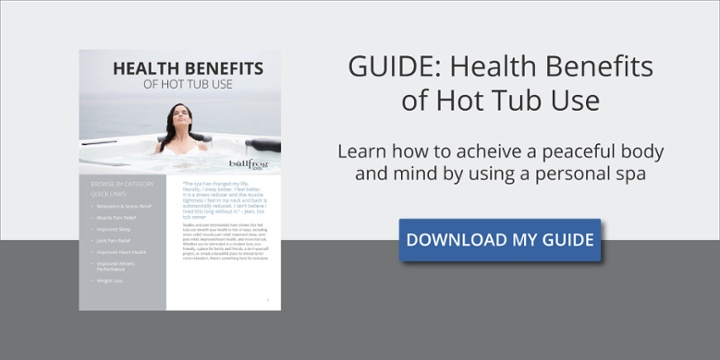 Most hot tub jets target key pressure points and the larger muscles in your neck, back and legs. If you like to feel better faster after exercise, investing in a good hot tub is definitely worth it. It may sound like it doesn’t have anything to do with your health or fitness but after a workout, it’s also important to relax your mind. Movies, books, and even video games are a great way to let your muscles relax while you exercise your mind. Sometimes it’s also preferable to just switch on the TV and zone out for a while. Everything is OK in moderation, and there’s nothing wrong with a little relaxing screen time now and then. A good massage can be healthy and relaxing after a workout. It can help release tension and tightness in your muscles that tends to build up during hard exertion. Hot massages are also a great choice as they melt away the stress and tension in the muscles and mind after a workout. Massages also have numerous health benefits including but not limited to reduced anxiety, improved quality of sleep, and even raised overall alertness. It’s important to relax after a workout and not put further stress on your muscles. The human body needs time to recover and rest after working out, so even just sitting and thinking for a while is beneficial. It’s obviously important to get in the habit of working out regularly. It’s also just as important to relax afterward. Do this and you’ll reap the many rewards of a healthy lifestyle.